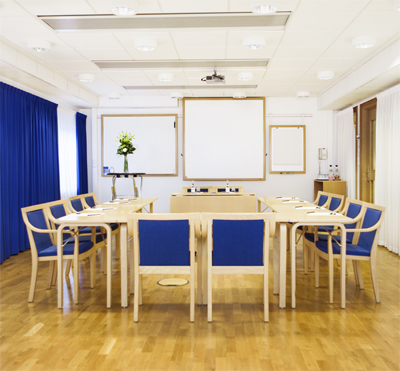 By the southern banks of Vättern, Elite Stora Hotellet boasts a central location in one of the most alluring buildings of Jönköping. With the main pedestrian street passing just outside the hotel, you always find shopping and amusements close-by. 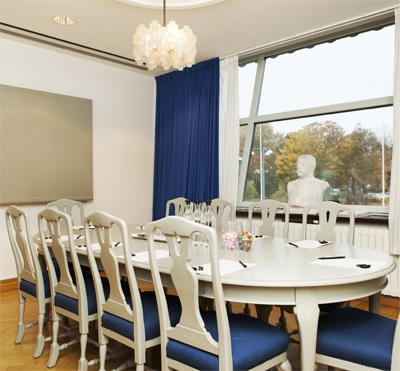 Elite Stora Hotellet was built in the mid-1800s and has since then been carefully refurbished in the style of Gustav III of Sweden. 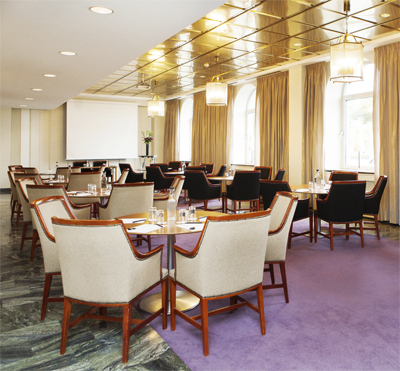 Much of the hotel is preserved in its original state: for example our grandiose Hall of Mirrors which is one of the most beautiful party facilities of Sweden. We think it of highest importance that you enjoy your stay with us and strive to provide you with attentive and friendly service of high standard. Our 135 hotel rooms are tastefully and purposely decorated to provide you with a peaceful and relaxing setting for an ideal working environment. Feel free to visit our restaurant or our pub The Bishop's Arms. 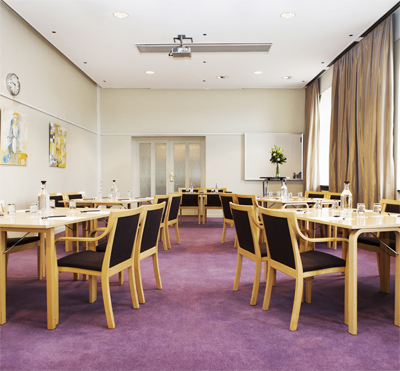 We take pride in the ability to offer a modern conference venue for both small- and large-scale arrangements. For larger banquets, our beautiful Hall of Mirrors is an outstanding choice with capacity for up to 350 guests. 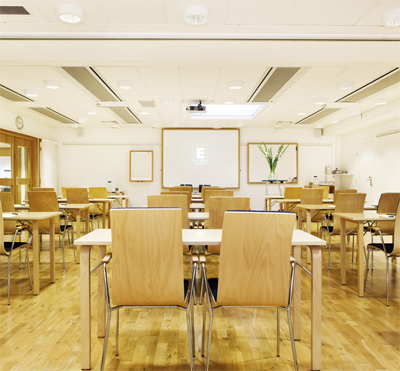 Our staff will do their very best to ensure that your event becomes a complete success and a memorable occasion. 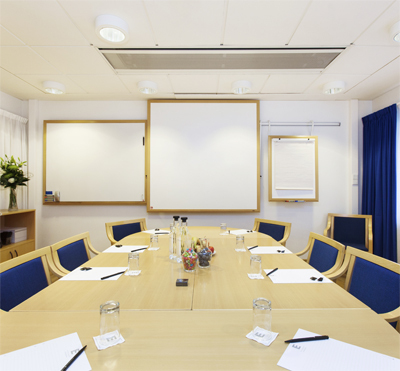 The facilities are all air conditioned and feature extensive modern technology with flexible whiteboard, projector canvas and flip charts on runners, overhead projector, TV/video, plugs, The Cloud - wireless broadband -, pads and pens as well as water. We also supply CD/cassette player, slide projector, podium, speaker phone (fee), LCD projector (fee), and speaker equipment (fee). Further equipment can of course be organised at request. Our bright conference lobby is perfectly suited for a replenishing break with coffee and refreshments. 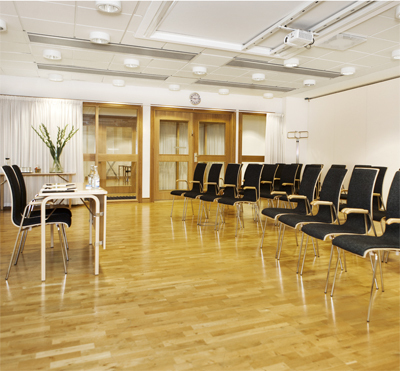 The lobby is also appropriate for exhibitions and workshops. At Brasserie Le Trottoir you are served conference lunch and later in the evening dinner, and why not visit our pub The Bishop's Arms for a pre-dinner drink? 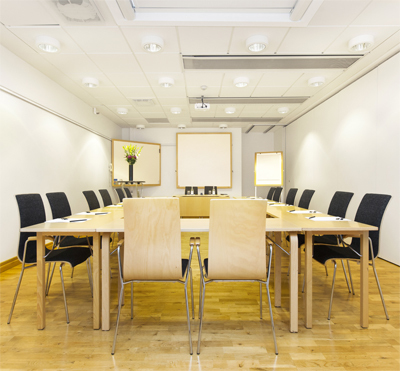 Have you been to Elite Stora Hotellet Jönköping and want to give your own comments?